This genre is one of my favourite types to read so I was really inclined to read it. Then when I saw the quote from Tess Gerritsen at the bottom I had to buy it because I love Tess' crime novels! I have to say this was a great read and it definitely did what it set out to do. The main thing I liked about this novel was the writing style. You get a clear sense of the mother's feelings (as it's written in her point of view) and there's a strong connection between her and her daughter. I can feel the heartache and panic and curiosity the mother is going through and that was a really personal touch that I enjoyed. I also liked how it switched tense. This happened very often at the beginning but they gaps between got longer as the story line expanded. I think this worked very well as it incorporated past and present occurrences. Altogether I would definitely recommend this novel. 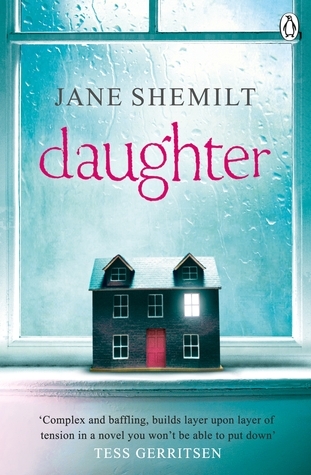 It includes suspense, mystery and heartache (I may or may not have teared up a little at the end....) An all round great book with accuracy and deals with real-life issues. It's perfect for those who love unexpected twists and tension!